Welcome to our site and our world, a world where the key word is diversity. What can you expect to find in that diversity? A multitude of professional options, from engineering and machining, from process and production planning to logistics, from manufacturing to plant operations , from installations maintenance to retail network management, from accounting and cost control to financial analysis and trading. You will find a diversity of roles and responsibilities, with career paths leading from team management to highest specialization in leading-edge technology - or the other way around. You will also meet a company that has dimensions scaled to its objectives : Solidly equipped to compete with the foundry chemical industry giants, the Group has the financial strength, technical know-how and market expertise to mount and carry through the most challenging projects. The people who design and develop these projects and then bring them to life - they are the key to our success. They are the Group's vital assets, assets we prize and seek to preserve. At Gargi, innovation and entrepreneurship define our identity as the leading foundry chemical supplier. That's why we hire smart, ambitious people who are looking for a place to grow their careers. They are hardworking and industrious with a practical vision of success -- outstanding people looking for outstanding careers. 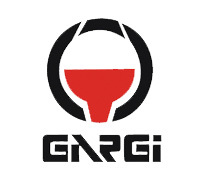 Being a part of Gargi means being a part of a recognized market leader. It also means being challenged like never before, taking risks, growing, and succeeding.